Simplify your yard maintenance. 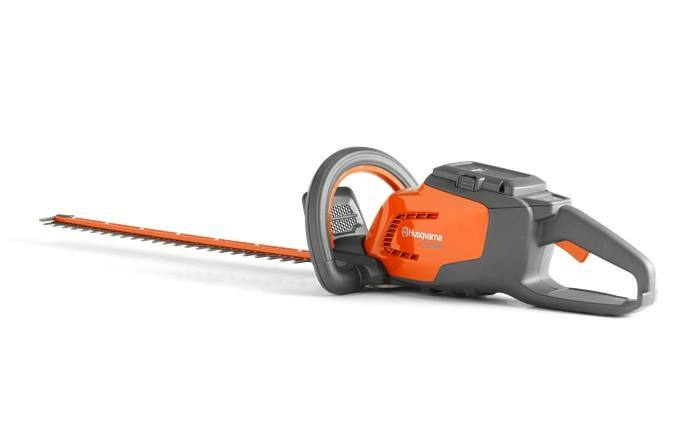 Pick up the Husqvarna 115iHD55 hedge trimmer, an easy-to-start battery unit that's quiet enough for use in residential areas. As a perfect combination of comfort and durability, this hedge trimmer delivers great performance without the hassle and cost of a gasoline engine. Meanwhile, a super-efficient brushless motor - along with the innovative savE™ function for additional runtime - makes it a smart choice for any homeowner. savE™: Choose between normal or savE™ mode, depending on conditions, for maximum power or maximum runtime. Either way, you'll always get a perfect result. Cordless freedom: No cord, no petrol, no engine noise, no direct emissions and just a push on the trigger to go. The powerful battery pack is designed for reliable, long lasting use, designed to be recharged hundreds of times.